Cole is a Colorado native, and a junior at Valor Christian High School. He grew up in Evergreen, CO and recently moved to Highlands Ranch, CO in October of 2018. He enjoys traveling, skiing, mountain biking, hiking and almost anything outdoors. Cole works part time at Runners Roost in Lone tree and has volunteered at his parents’ dental clinic annual free day, the Denver Rescue Mission food service, Denver inner city outreach, and is heading to Ethiopia this summer with the XC team to help in an orphanage. Cole has been in National Honor society throughout high school and maintains a 4.1 GPA. His academic interests are math, science and robotics. He hasn’t made any decisions about college yet but might be leaning towards a warmer climate! He plans to continue his running career throughout college and hopes there may be further opportunities such as the Olympics and running professionally in his future! He didn’t start to run until the end of middle school, focusing more on mountain bike racing in 5th-8th grades. In 8th grade, running quickly became a passion. Since then he has had the honor of running in the USATF Junior Olympics, and several national high school competitions. Freshman year he was the CO 3A cross country state runner-up, as well as the 1600m and 3200m state runner-up in track. 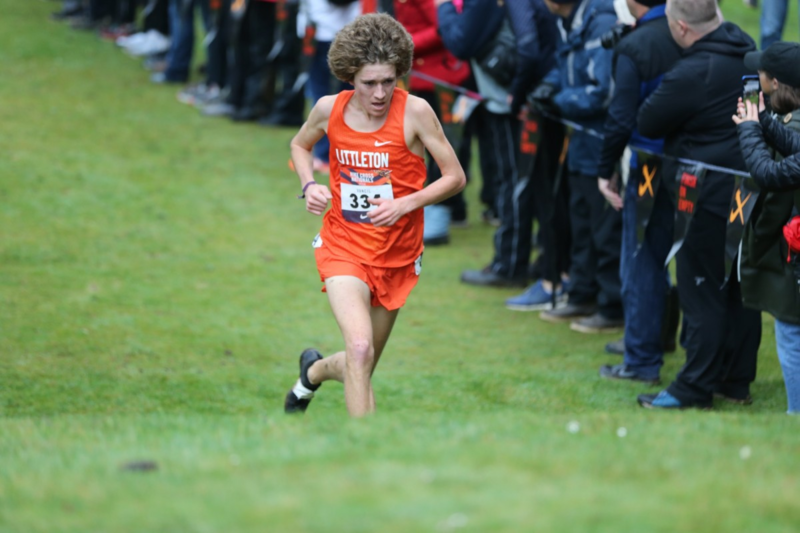 His sophomore year he was the CO 4A Cross Country state champion, Runner up at the Nike Cross Regional qualifier, and 21st at Nike Cross Nationals-earning All American. During his sophomore year he was the 4A state champion in the 1600m and 3200m, and runner up in the 2 mile at Brooks PR Nationals, earning a second All American honor. Cole broke the Sophomore National class records in the 3000 and the 2 mile and also broke the CO all class state record in the 3200m. 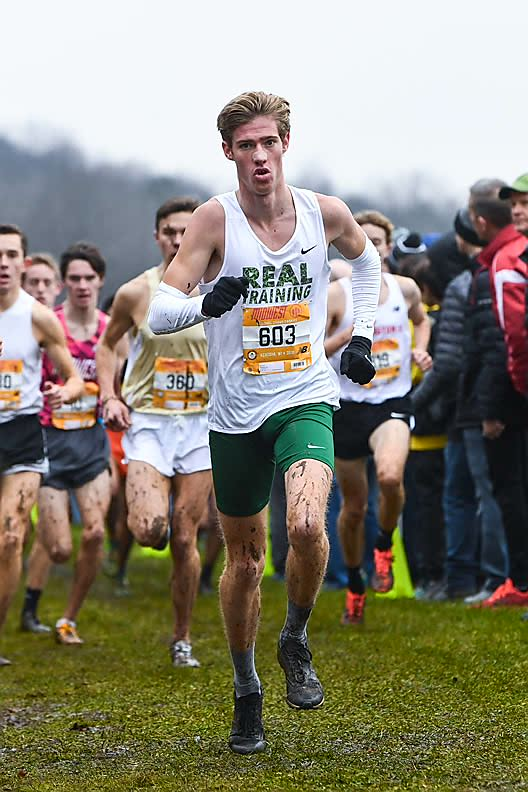 So far in his Junior year he has been the 5A cross country state champion-breaking the state meet record, Regional champion at Nike Cross Regionals, and finished 3rd place at Nike cross Nationals-earning a third All American honor. 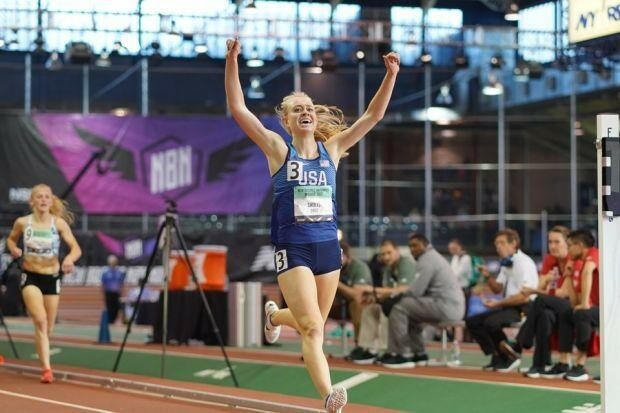 He recently took second at New Balance Indoor Nationals in the 1 mile-earning a 4th All American honor. His most memorable event was breaking the Sophomore National Class record in the 3000 set by Drew Hunter (a running superstar) at the legendary Hayward Field in Oregon just before it was torn down. 2019 accomplishments include 2nd at the Arcadia (CA) 3200m in an all-time Colorado boys HS record of 8:40 (the previously record had stood for 16 years). He also set the 3000m record en route by running 8:10. Camden has grown up in Salida CO. Camden loves sports and participated in three sports at the same time this last Fall. He raced Cross Country for the first time, raced for the Salida Racing MTB team and played on the varsity soccer team. In one 10-day period he competed in five varsity competitions. This year in cross country, he finished 2nd at the state meet and helped lead his team to a 2nd place finish as well. In mountain biking, he finished 9th overall in varsity and in soccer he was a varsity starter for the entire season finishing in the quarterfinals of the playoffs with his team. One of his favorite memories from cross country was his first 5K. 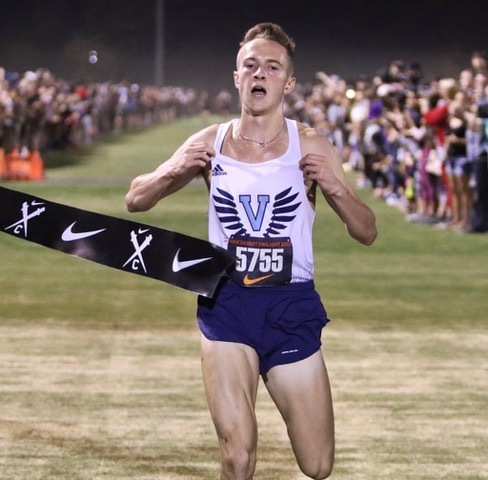 His sophomore year in high school he jumped on the XC team at the end of the season to go run at the Nike Southwest Regionals race in Arizona. This would be his first xc race. He ended up fishing 3rd (in small schools) and running a time of 16:10. From then on, he realized he wanted to run cross country. He has a 4.24 GPA and participates in FBLA, Key Club, and the National Honor Society. Camden hasn’t decided on college but would like to major in mechanical engineering and run or bike for the school’s team. Top choices are Colorado School of Mines, Montana State, CU Boulder, and Northern Arizona University. Quinn loves to horseback ride, hike, be in the mountains, drink coffee, study veterinary related topics, speak/study Spanish and travel. She has been on the Dean’s list every semester of High school. She was Scholar-Athlete at Peak to Peak in 2016 and 2017. She plans to become a veterinarian, most likely specializing in large animal care. She has a research internship at Colorado State University Veterinary teaching hospital this summer studying horse injuries. She has volunteered with the Therapeutic Riding Center of CO, helping children and adults with disabilities as they ride horses. She volunteers with Spanish Honor Society at Peak to Peak. She tutors Spanish. She has helped lead international Spanish immersion trips to Costa Rica with Common Ground International. She will also be working soon at Bowhaus Dog Boarding facility. 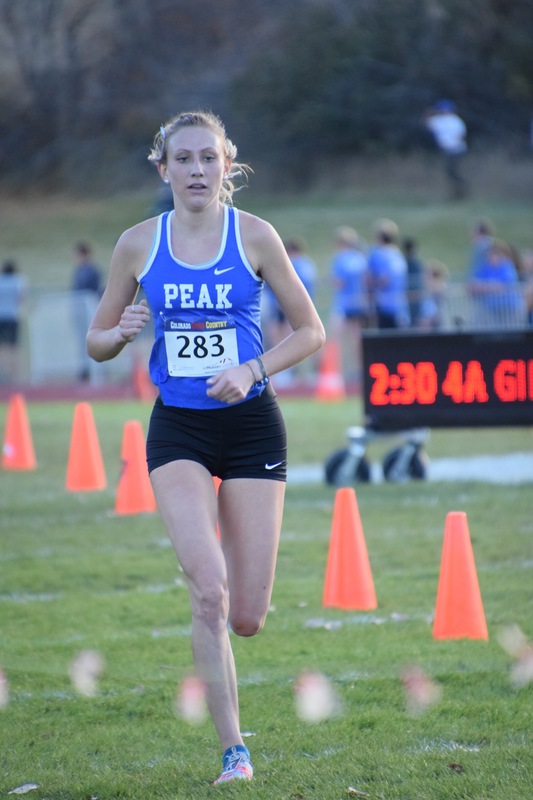 She will be attending Furman University in South Carolina on an XC/Track Scholarship and then hopes to go to veterinary school, possibly at CSU in Ft Collins. PR’s so far are 2:12.26 (800), 4:50.33 (1 mile), 17.00.10 (5k XC). World Mountain Running Junior team – 11th place and Silver medal team finish in 2017 (Premana, Italy) and 25th place finish in 2018 (Canillo, Andorra); winner of Desert Twilight XC Invitational in 2018. He has signed to run with Furman University in South Carolina. Anna volunteers at the public library, enjoys reading, photography, drawing, hitting the trails with Bunnie the dog or nordic skiing with the BNJRT Nordic Team. Austin is both a team captain for the cross-country and track team and Student Body Vice President. Austin is very dynamic, focused and driven and he loves to make things happen. He has a sweet nature, which means that Austin is always ready to help others. He does have a gentle relaxed way about him. Austin is fluent in French and has dual nationality (American and French) and maintains a 4.36 GPA in school. He is heading to the University of Colorado Boulder to study Engineering. 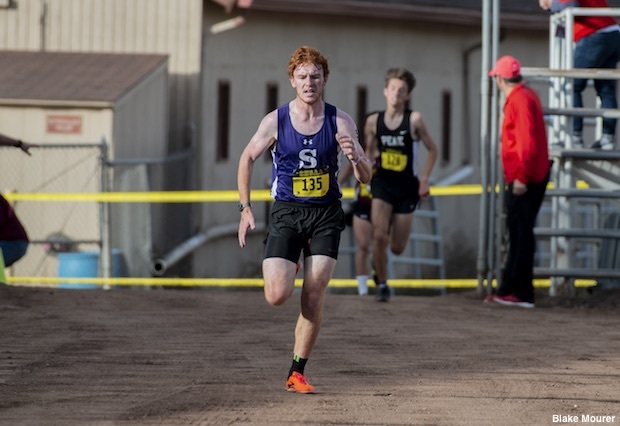 Captain of Dakota Ridge Cross Country Team where the team won the Colorado State 5A title in October, won the 5-State Nike Southwest Regional title in Casa Grande, Arizona in November and finished third in the nation at the Nike Cross Nationals in Portland, Oregon in December.